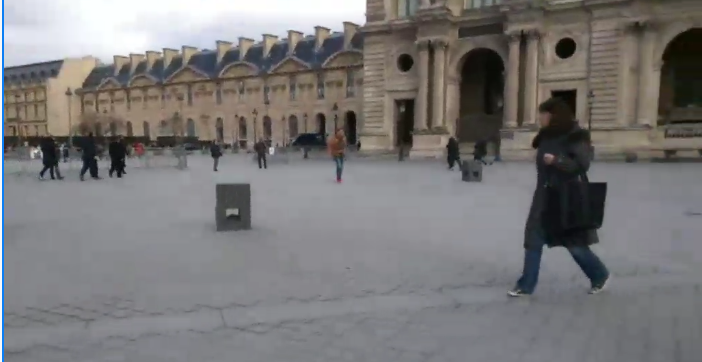 French soldiers opened fired on a man carrying a machete and two bags as he tried to enter the Louvre Museum, Paris after yelling "Allahu Akbar". According to the police, they believe he had plans to carry out a terrorist attack. He is said to have launched himself at the soldiers when they told him that he could not bring his bags into the Carrousel du Louvre shopping mall underneath the world-famous museum where the Mona Lisa hangs causing the building to go into emergency lock down. 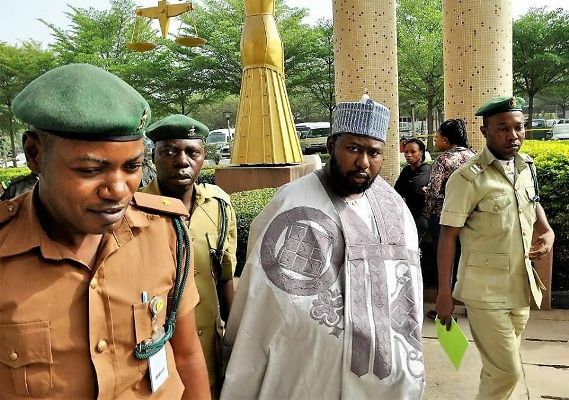 He brought out a knife and tried to stab a soldier which made the soldiers respond to the to the attack by firing five shots. Speaking on the attack, the Head, French capital police force, Mr Cadot said a solider was hurt while the attack is wounded in the stomach. "It was an attack by a person ... who represented a direct threat and whose actions suggested a terrorist context.The attacker is wounded in the stomach. He is conscious and he was moving. Checks of the man's two backpacks found they did not contain explosives"
He also said a second person who was acting suspiciously was also arrested but appeared not to have been linked to the attack. 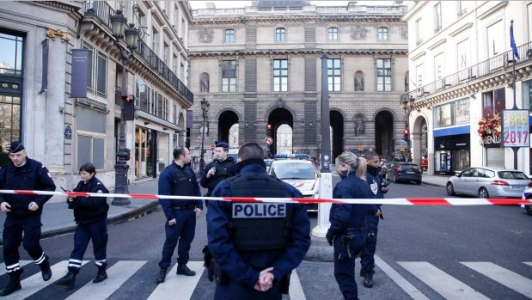 The spokesman, French ministry of Interior, Mr. Pierre-Henry Brandet said the identity and nationality of the attacker is still unknown. 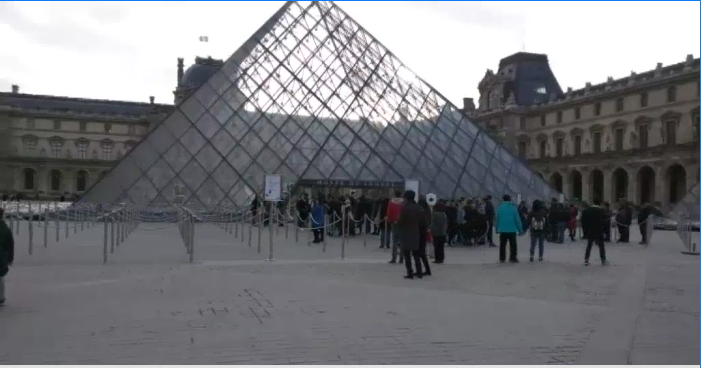 The police evacuated and blocked entrance into the museum. The visitors who were already inside building were stopped from leaving. 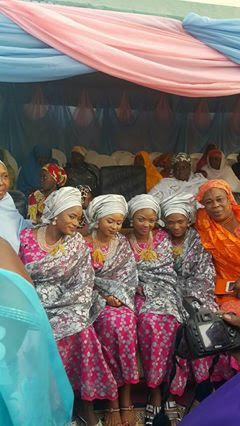 Photos from the wedding which took place in Zamfara State today was posted by an Hausa Facebook user and he wrote in Hausa. 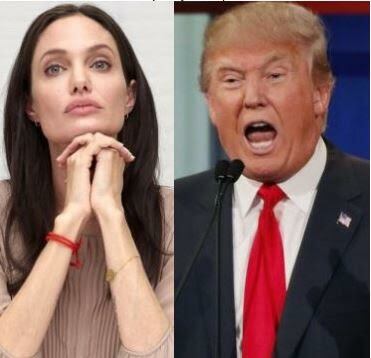 Please read below and tell us what it says..
Actress Angelina Jolie in a recent op-ed for the New York Times has weighed in on President Donald Trump's immigration ban, accusing him of ignoring facts about how refugees get into the U.S.
"It is simply not true that our borders are overrun or that refugees are admitted to the United States without close scrutiny. Refugees are subject to the highest level of screening of any category of traveler to the United States' she wrote. Angelina works with the UN's High Commissioner for Refugees. She's also adopted 3 children born outside the country and she says she understands security from terrorism is of the utmost importance, but thinks "our response must be measured and should be based on facts, not fear." In the article, she never mentions Trump by name, but says she'd want any president to work with people of all faiths around the world to make all nations more secure. Nordstrom has revealed that they will stop carrying Ivanka Trump's brand. This comes after the Grab Your Wallet campaign, which called for shoppers to boycott retailers that carry Ivanka Trump or Donald Trump goods. The department store chain which offers thousands of brands revealed that they decided to remove Ivanka's brand from their site due to poor sales. “We’ve said all along we make buying decisions based on performance. In this case, based on the brand’s performance, we’ve decided not to buy it for this season,” a statement from the company read. However, some believe the brand might have been pulled off due to pressure from the #GrabYourWallet campaign. The co-founder of the campaign, Shannon Coulter, felt so too and gleefully shared the news on her Twitter accounts, thanking supporters of the campaign for making it happen. “I am absolutely thrilled, and I know the vast majority of Grab Your Wallet participants will be as well,” said Shannon Coulter. Nordstrom was one of the first retail partners to stock Ivanka's footwears, and they had earlier faced criticisms from the Grab Your Wallet campaigners who tried to force the store to drop brands that belong to the Trumps. In reaction to the criticisms, in November last year, Pete Nordstroms, Co-president of Nordstrom, defended its decision to sell Trump products. “This is a sharply divisive subject. No matter what we do, we are going to end up disappointing some of our customers. Every single brand we offer is evaluated on their results -- if people don’t buy it, we won’t sell it.” Nordstrom said. The company went on to post a response on Twitter to an open letter calling for Nordstrom to stop selling the Trump brand. If the statement by Nordstrom is anything to go by, then it appears the customers made good on their threat and stopped buying, leading to a drop in sales, hence the decision by Nordstrom. Nigeria has the 3rd Highest number of people displaced by conflict in the world after Syria and Iraq..We are talking about over 4.5 million people including Children in Danger of Extreme Malnutrition and Diseases. 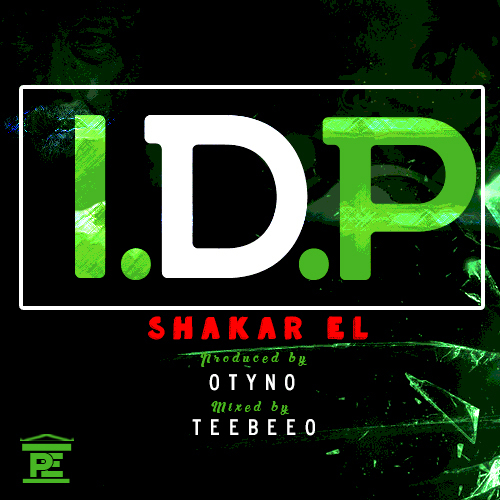 This Original Afrobeat Song also highlights the alleged Corruption/Crimes going on in the IDP camps and the current yearnings of Nigerians for a stable Country,at the other hand, it showcases the Versatility of Shakar EL as a Musical Act. 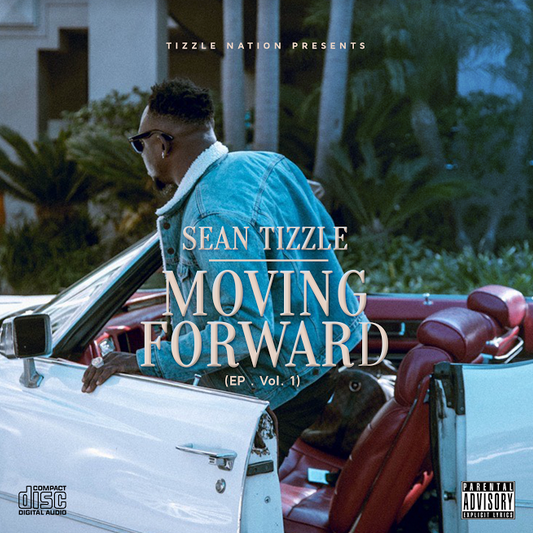 DOWNLOAD MUSIC.Sean Tizzle ft. Davido – Dide | Moving Forward EP Vol. 1 OUT NOW! Fans can also check out Instagram page ‘iamseantizzle’ and Facebook seantizzleofficial. 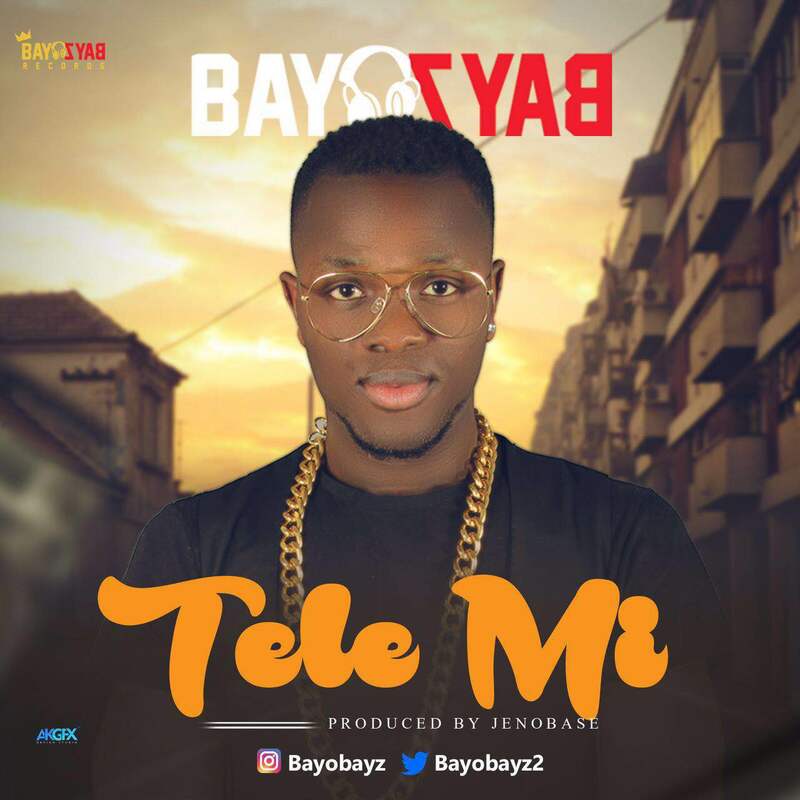 Bayo Bayz Records presents “Tele Mi” by its frontliner – Bayo Bayz. Dope record! Check it out. 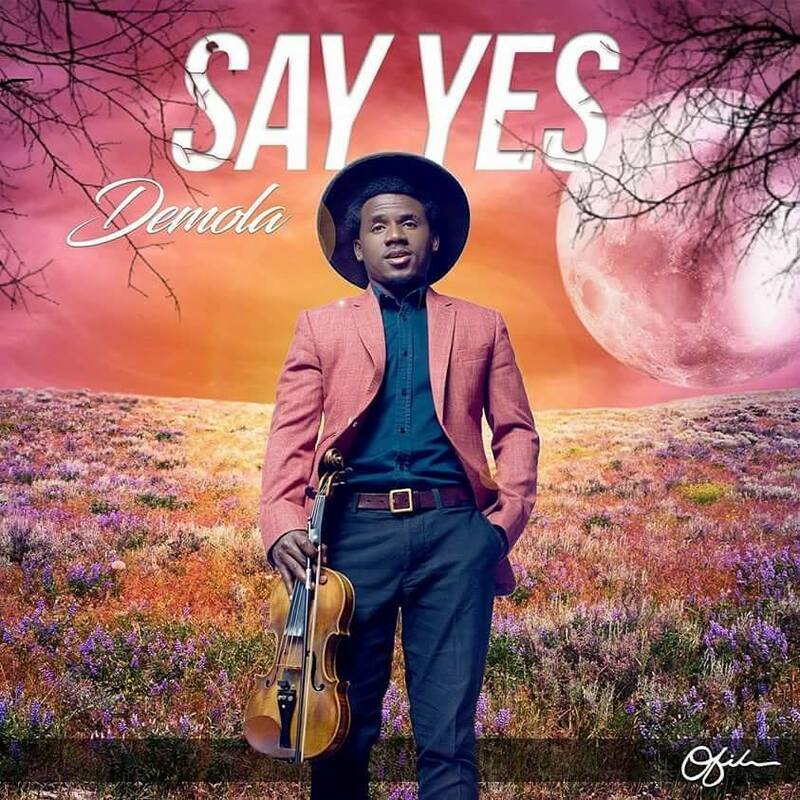 DEMOLA popularly known as DEMOLA THE VIOLINIST officially starts this year off with his debut single “Say Yes”. DEMOLA is a Nigerian artist, music producer, violinist and multitalented instrumentalist based in Houston, Texas. After his video of Mad over you cover went viral in January, he’s amazing us with his fresh and new sound of Afropop fusion on his own track. His single Say Yes is a fusion of Afrobeats, smooth jazz and Classic pop .It is an upbeat love song, dance track and a song for the Ladies. This is a song you should use to get your girl to Say Yes!. Say Yes was written and produced by DEMOLA, recorded and Mastered in Houston, Texas. Enjoy!Follow Demola on all Social media @demolaviolinist. 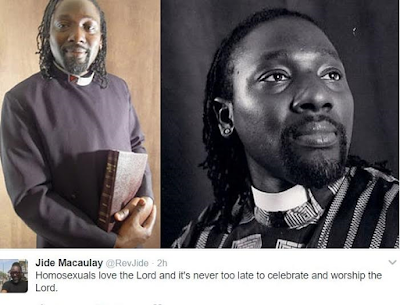 Fresh off the news that he has signed with Universal Music Africa. 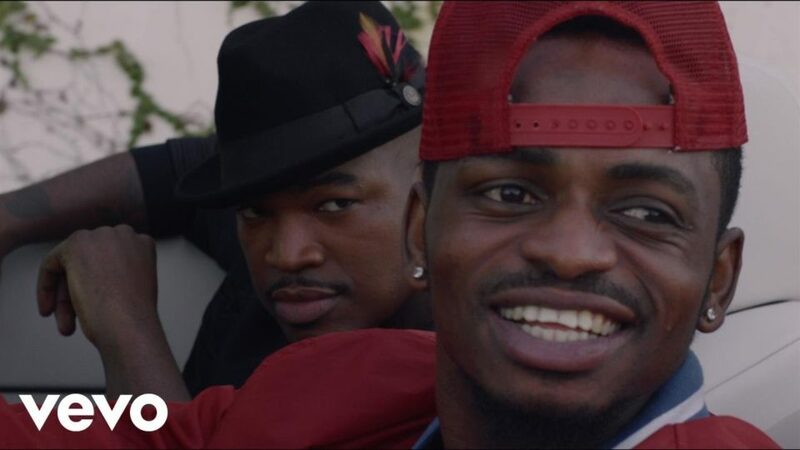 Tanzanian superstar – Diamond Platnumz liberates the official music video for “Marry You”, his collaboration with American singer – Neyo. 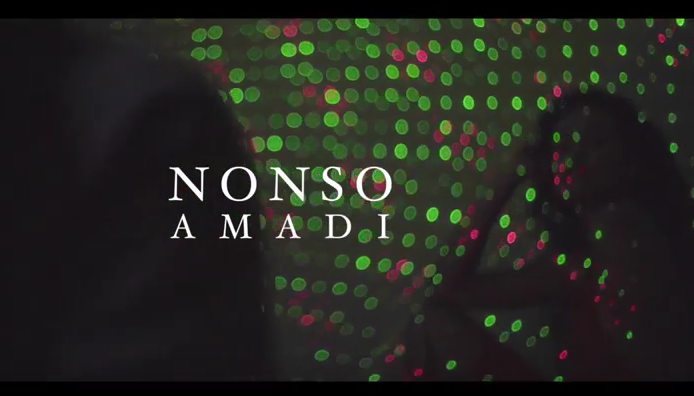 Nonso Amadi finally drops the visuals to his previously released song ‘Tonight’ which aired first on our platform in 2015. He has since made a lot of progress in terms of skill and exposure as seen on his last effort ‘Radio‘. 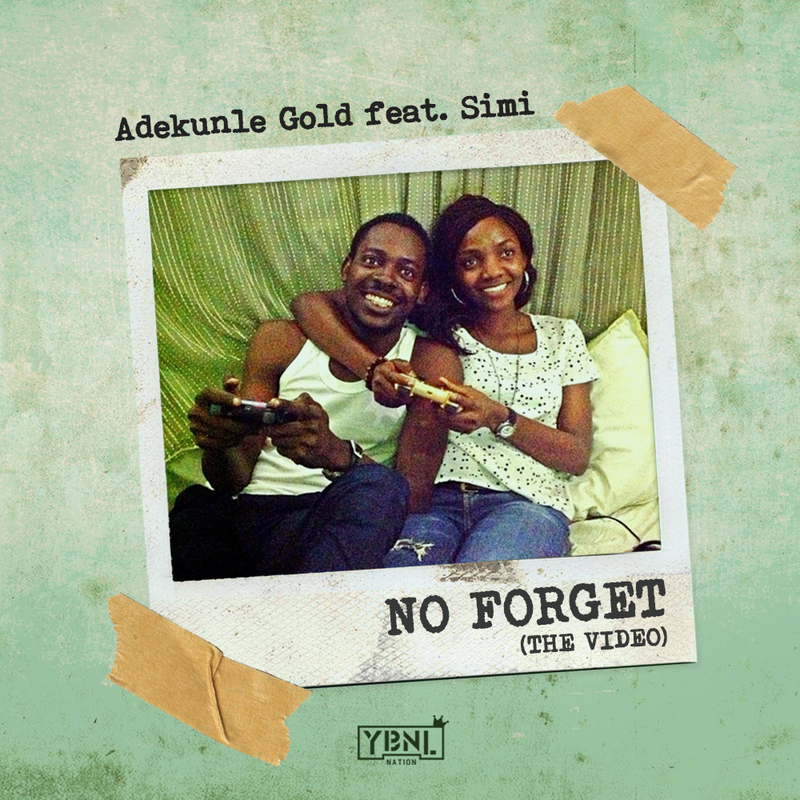 Watch the visuals to ‘Tonight’ below and let us know your thoughts. 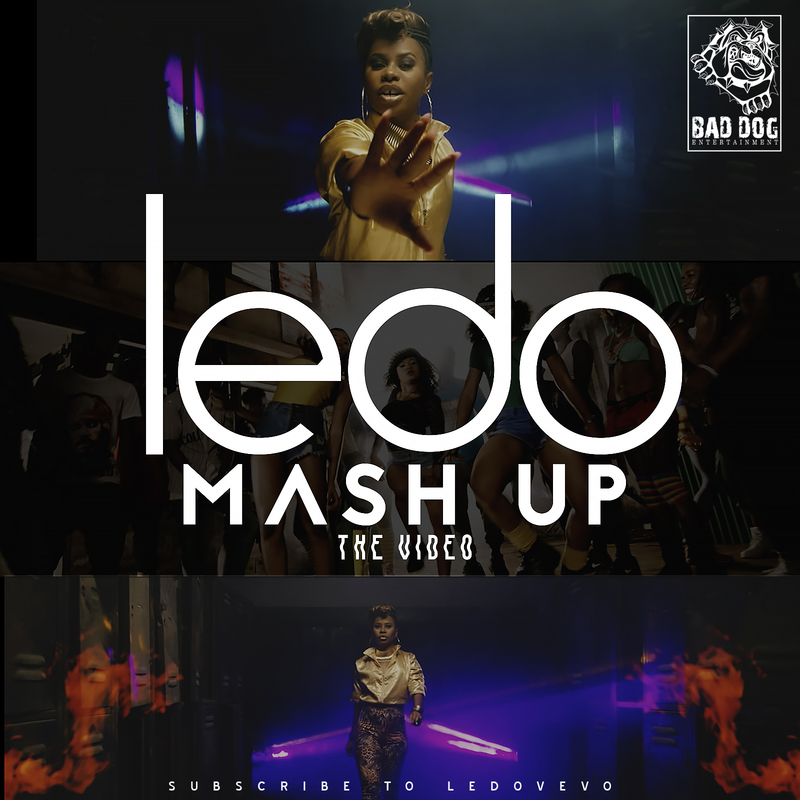 “WELCOME TO MY EMPIRE” says Bad Dog Entertainment artist LEDO, has she releases her brand new music video for her debut single “Mash Up”. 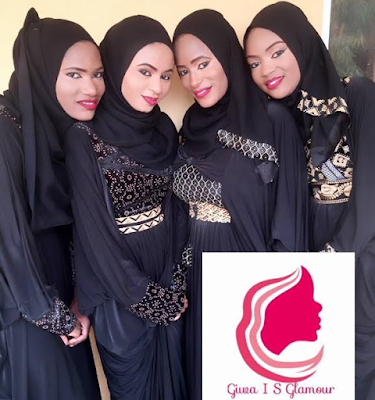 Which has been featured on top radio stations and chats across the country (Nigeria) and diaspora. 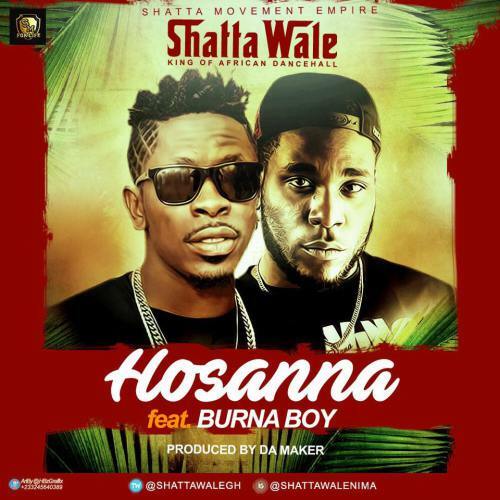 The song was released a while back and became a fan favorite; song is produced by Teemode beats at indomix studios and later mixed by Suka sounds at sukasound studios. 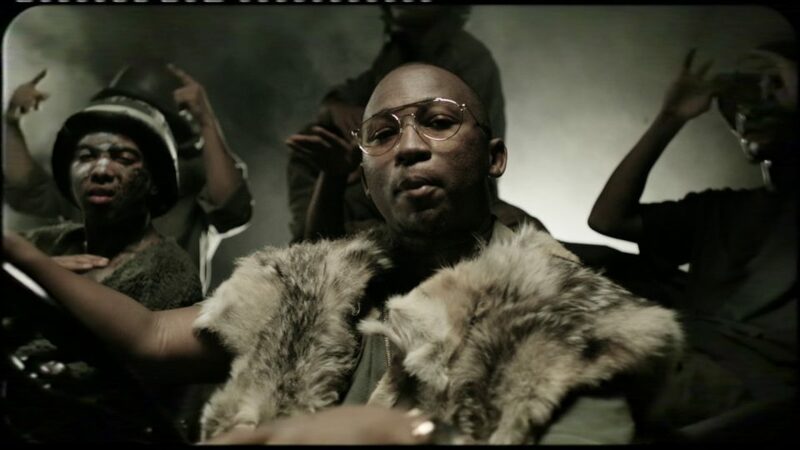 The music video features, Dj Ryder and a host of others. Filmed in various locations all over Lagos, Nigeria. Video includes dance skills from major dance professionals. 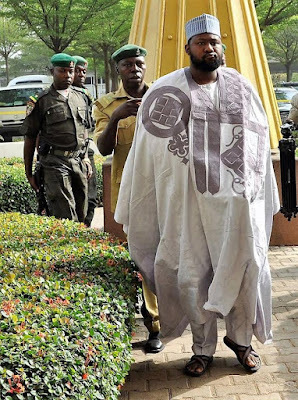 Justice Nnamdi Dimgba of the Federal High Court sitting in Maitama, Abuja has granted Shamsudeen Bala, son of a former Minister of the Federal Capital Territory, Senator Bala Mohammed N100 million bail and has ordered that he be remanded in Kuje prison pending the perfection of his bail terms which includes two sureties in the sum of N50million each. 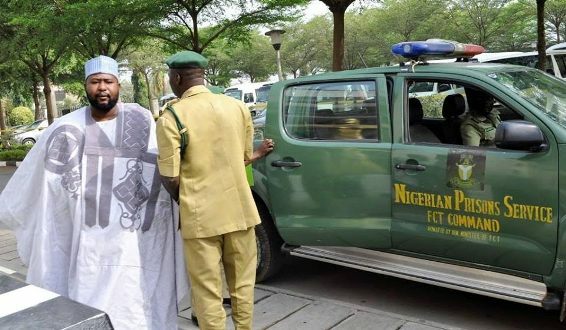 Bala is being prosecuted on a 15-count charge of money laundering to the tune of N1.2 billion by the Economic and Financial Crimes Commission, EFCC. According to the presiding judge, the sureties must either be private businessmen or public servants not below the rank of assistant director. The sureties must have landed properties in Abuja or within Lagos metropolis excluding satellite towns. The defendant must produce three years tax clearance and must not travel without the consent of the court. 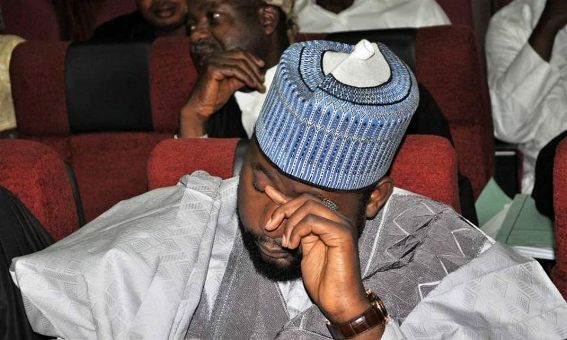 The defendant must also comply with Section 15 of the ACJA, 2015 or depose to an affidavit in case of delay by the EFCC. It's never too old for love. Brazilian pensioner, Valdemira Rodrigues de Oliveira is believed to be the world's oldest person to get engaged after she said 'yes' to her 66yr old lover Aparecido Dias Jacob in a ceremony last Saturday. 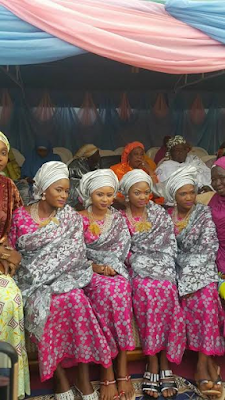 The lovebirds defied doctors' ban to go ahead with the engagement. Medics had assessed their health and age and warned the duo, known as Valda and Jaco, would not be able to cope with living on their own. 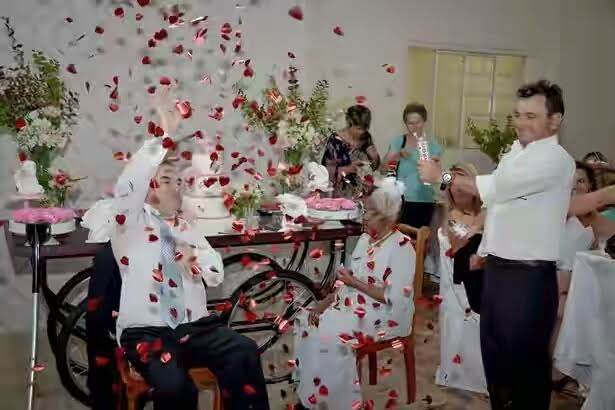 But after three years together, the senior romantics, who have separate rooms at Nossa Senhora Fatima retirement home in Pirassununga, south east Brazil, were determined to prove age is no barrier to finding your soul mate. The elderly sweethearts exchanged engagement rings in a betrothal service organised by volunteers under an initiative called the 'Project of Dreams' and the event was no puny affair. It was lavishly decorated with a four-tier cake, flowers, cupid ornaments and scattered rose petals. 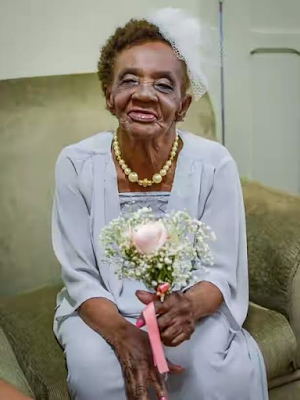 Valda looked her best in a white dress with a fancy in her hair, pearls around her neck, nails painted and comfortable slippers. "I fell in love with him. I like him a lot. If he dies, I die too." The two lovers have never been engaged and most of Valda's relatives have died while Jaco has lost touch with his family. 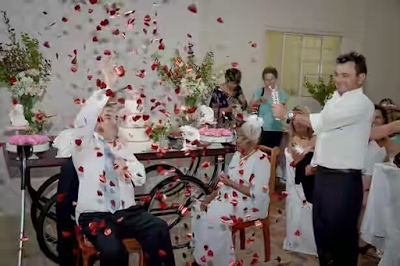 At the altar, the couple couldn't hold back from sealing the occasion with a passionate kiss before taking their vows in front of the 150 invited guests. After a short message and prayer, the happy couple said "yes" to stay loyal to each other and exchanged engagement rings. 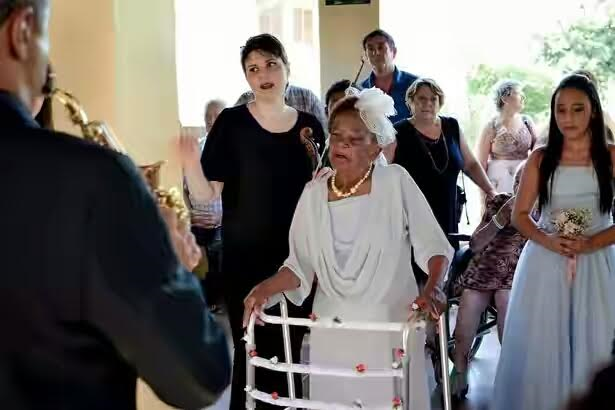 The lovestruck pair met at the residential home for the elderly in 2014 and it was love at first sight for Jaco, who suffers from paralysis of the left arm. He has been living in the home for 19 years after being homeless and unemployed. "I fell in love with Valda from the moment I saw her. I know she's a little older than me, but that doesn't matter because she makes me really happy. "I asked her to marry me and we always believed it would happen but getting engaged is a step forward for us right now." The inseparable couple spend all day with each other, chatting, eating their meals together and sitting side by side in the home. 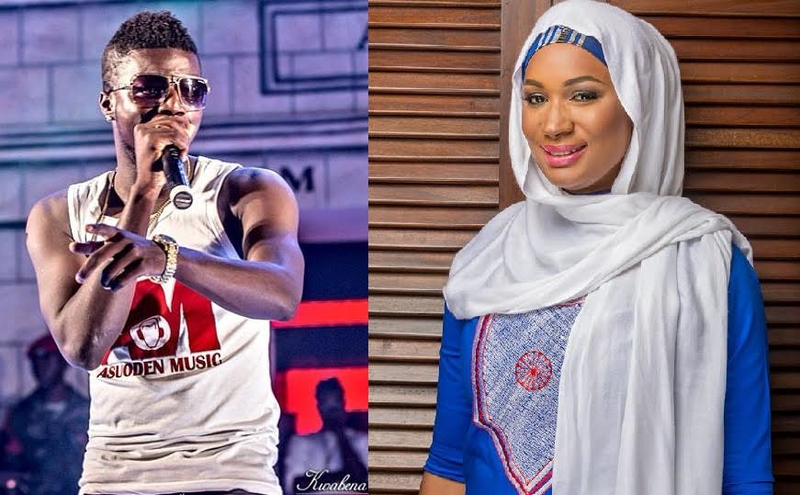 Controversial Ghanaian rapper and OAP, Pope Skinny has tendered an apology over his recent comment made on Samira Bawumia, the second lady of Ghana. The rapper was said to have confessed his love for the second lady on live radio, in spite of his knowledge that she is married to Vice President Dr. Mahamudu Bawumia. 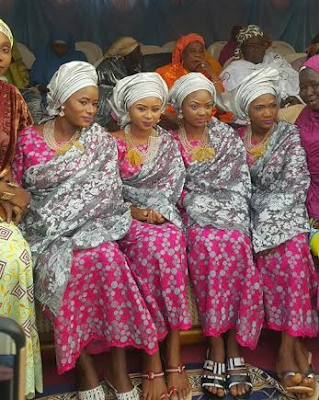 'Bawumia’s wife has no size. Can someone get me her number so that I tell her that I want her to be my sugar mummy? I am in love with the woman…Forgive me Bawumia, you are my man but I am really in love with your wife. I wish I would have her for myself.' he said on Adom FM.But after the Mamprugu Youth Association (MAYA), a development-based youth group in the Northern Region ordered the OAP to issue an apology over his comment. The ‘Akuapem rapper’ in a statement tendered an apology explaining that he was only diverting the attention of Ghanaians from the controversy that arose from President Akufo-Addo’s cough during his inaugural address on January 7. 'My comment was not intended to get on the nerves of any Ghanaian but to divert attentions from the President’s cough brouhaha which was trending shortly after the inauguration,' he said. Former Barca and Bayern Munich coach Pep Guardiola has admitted that rival clubs Chelsea and Tottenham are the best clubs in the league, despite the transfer war chest he was given last summer to complete deals for Saido Mane, Nolito, Gundogan, John Stones and Gabriel Jesus. 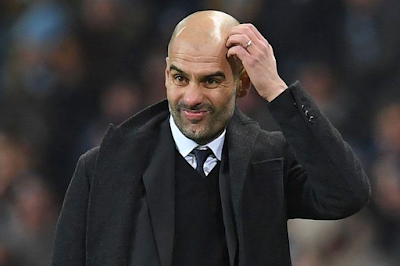 Guardiola, upon assumption of coaching duties at Man City following glorious reigns at Barcelona and Bayern Munich, enjoyed a ten game winning streak, but loses in recent matches have damaged his club's EPL title ambitions and the Spaniard has now admitted his team isnt the best anymore and he is to be blamed. “Tottenham and Chelsea are the best, how they make the movements — especially Spurs with Dembele and Eriksen and how they move in respect to the others," he said to reporters. "Both teams know exactly what they have to do and still we are not in that process. Our inconsistency is for that reason. “I think we learned a lot. We improved a lot in the beginning, and then we stopped. "Maybe it looks like I’m being humble, or shy or something like that, but it was a little bit my mistake. “I’m pretty sure we started really good in many, many things and now we stopped. You have to re-start that. Because our build-up is so fundamental in my vision of football. “Sometimes we have to do more of the same thing, and when you do that a lot you have to change the variations. I believed we had it, but the players did not believe we had it. “So I have to adapt to them. Sometimes, with all the games, you don’t have time but that’s why it’s nice.“If I had the feeling everybody is done, it would be boring. So when I see the games and see the review of the games I say, 'Wow, we still have a lot to do!’, and that’s why it’s nice. South African top academic achiever, Hjalmar Rall will be joining his older ones in undergraduate studies at the University of Pretoria. 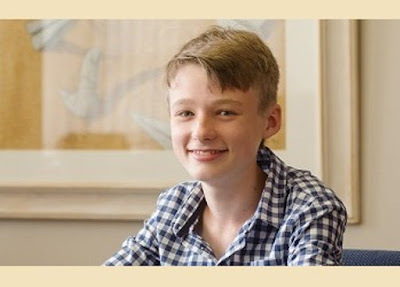 The 14-year-old will be studying BSc Physics in the hope of becoming a top South African scientist. According to Businesstech, Rall chooses to study Physics because it has been his passion for long and he believes that when one enjoys doing something, then such a person is bound to succeed as long as it’s not boring. Rall is also reported to be one of the numerous South Africans willing to put in their part in making South Africa a better place. He said he would make an impact in South Africa as a scientist even as he plans to further his studies after his degree. A grieving mother has shared on Twitter the sad story of how her son was killed by an inattentive nanny at their home in Killeen, Texas, United States. 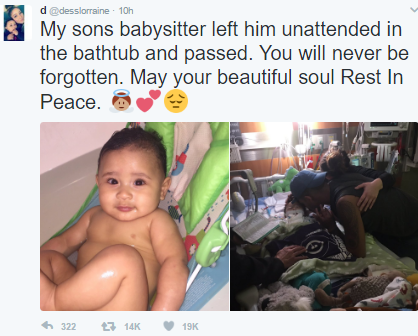 According to the mother with the twitter handle @desslorraine, her nanny left her 8-month-old son unattended in the bathtub while she slept off, leading to his death. 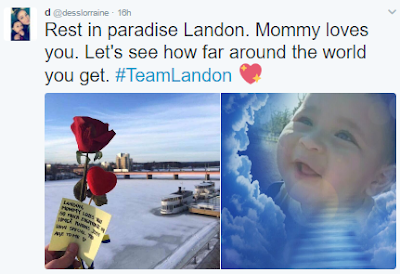 She shared photos of her dead son in hospital with pipes sticking out of his body as they tried to revive him. Sadly he did not make it. 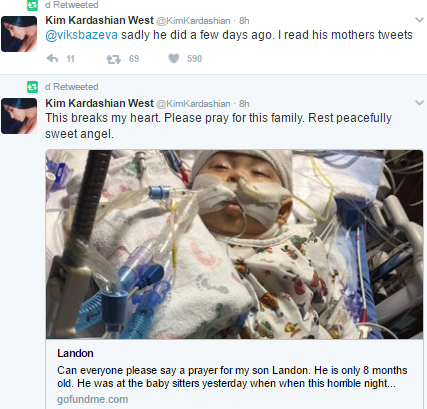 Kim Kardashian also went on Twitter to express her sympathy to the mother for the loss. A GoFundMe account has been created to assist the mother in her moment of grief. Nicki Minaj is about $200k worse for wear after a burglary at her L.A. mansion ... TMZ has learned. Law enforcement sources tell us the 11,500 sq. ft palace was totally trashed on the inside. The suspect or suspects knocked over and flipped furniture and items all over the house ... almost as if they were frantically looking for something. 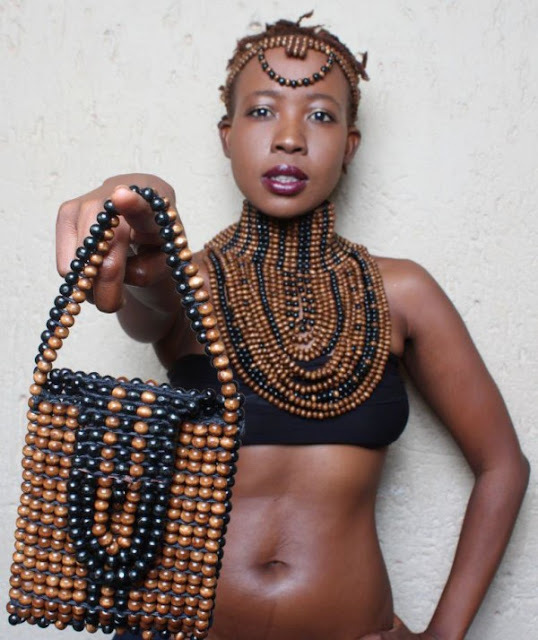 South African musician, Ntsiki Mazwai has taken to her Twitter page to label Africans 'dumb' and 'starstruck' over the overwhelming reaction they expressed after Beyonce's pregnancy announcement. 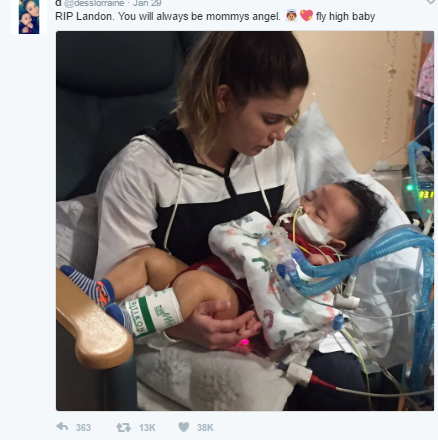 Wednesday, February 1, 2017, millions of fans across the World, flooded social media platforms with congratulatory messages after the American singer announced that she was expecting a set of twins.